Lincoln Barrington Minott was born in Kingston, Jamaica, on May 25, 1956. He began his career in the sound systems while still a child, working as a selector for the Sound of Silence Keystone outfit, before launching his own Gathering of Youth sound system just as he hit his teens. 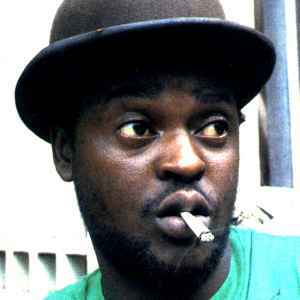 In 1969 Minott teamed up with Tony Tuff and Derrick Howard and formed the group the African Brothers. Tony was the lead singer and they recorded for Micron Music which was run by Mick Johnson and Ronny Burke of Sunsplash fame. The group then recorded for other producers from the likes of Keith Weston, Winston "Marrytone" Blake, Rupie Edwards and Coxsone Dodd. Some of the releases were "Lead us Father", Mystery of Nature", "Party Time" and "Righteous Kingdom". The group sprang up from the gathering at Delacree Rd. and Delamar Ave. corner, properly known as Tony Martin corner where many aspiring artists would mass. In 1974 Sugar teamed up with ace producer Coxsone Dodd "Studio One". Bringing the label back to life after the loss of John Holt, Ken Boothe, and Alton Ellis to other studio's, His first hit for Studio One was "Vanity" followed by "Mr DC", "House is not a Home" and "Hang on Natty", which led to his first solo album "Live Loving". In 1979 he left Studio One to form his own label - Black Roots Music, which led to the foundation of Youth Promotion Possie, recording artists like Little John, Triston Palmer, Barry Brown and Tony Tuff. He died on July 10, 2010 in St. Andrew Parish, Jamaica (of heart disease).